Date: 11.02.2019 | House, Techno, Minimal | Tags: London Underground, Deluxe Version, Big Mamas House Compilations, Big Mamas House Records, Dancin King, Henry Asaro, Petite Chat, Matthew Patron, Gizimondo | Download London Underground 2019 (Deluxe Version) for free. 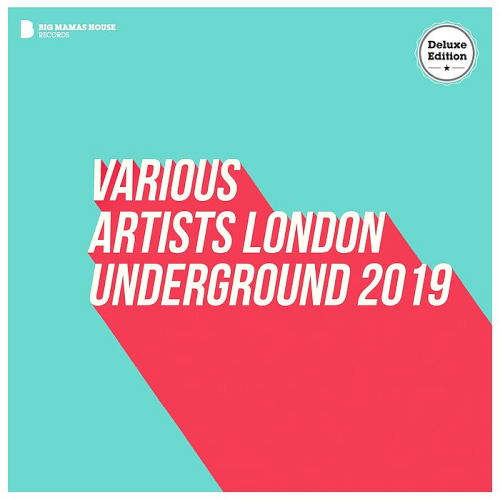 London Underground 2019 Deluxe Version A diverse style collection of electronic music tracks. Founded by the Electrocke" Maurizio Patti and Danny C. Tone, Big Mamas House Records is located in the burning city Stuttgart. We believe that tracks released on BMHR will be greatly appreciated by DJs, as it will give them top notch quality tracks, that could be playable in multiple genre. So they will be always ready to drop in almost any kind of set. Big Mamas House Records is committed to developing new music and artists and has a reputation for consistent excellence. Big Mamas House Compilations displays a variety of stylistic content of the material, that is, will be, and perhaps will be, just a discovery. As well as an addition to your collection and archives.